A nod to 80’s trends, this contemporary take on a classic denim jacket can top any easygoing ensemble. 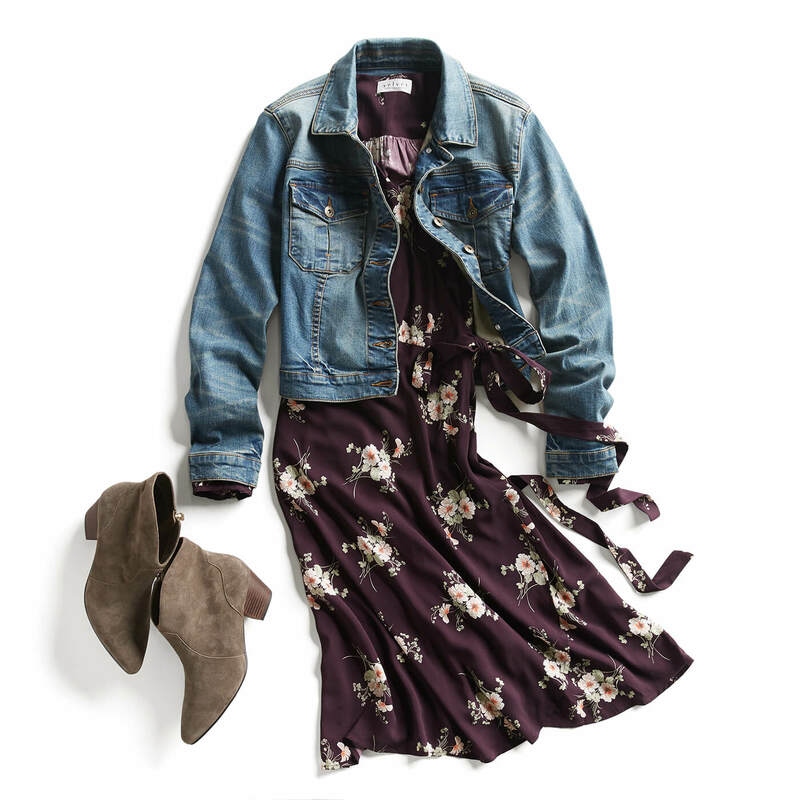 The key to styling an oversized denim jacket (sometimes called a boyfriend or trucker denim jacket) is balancing the slouchy silhouette with fitted pieces to keep your curves from getting lost. 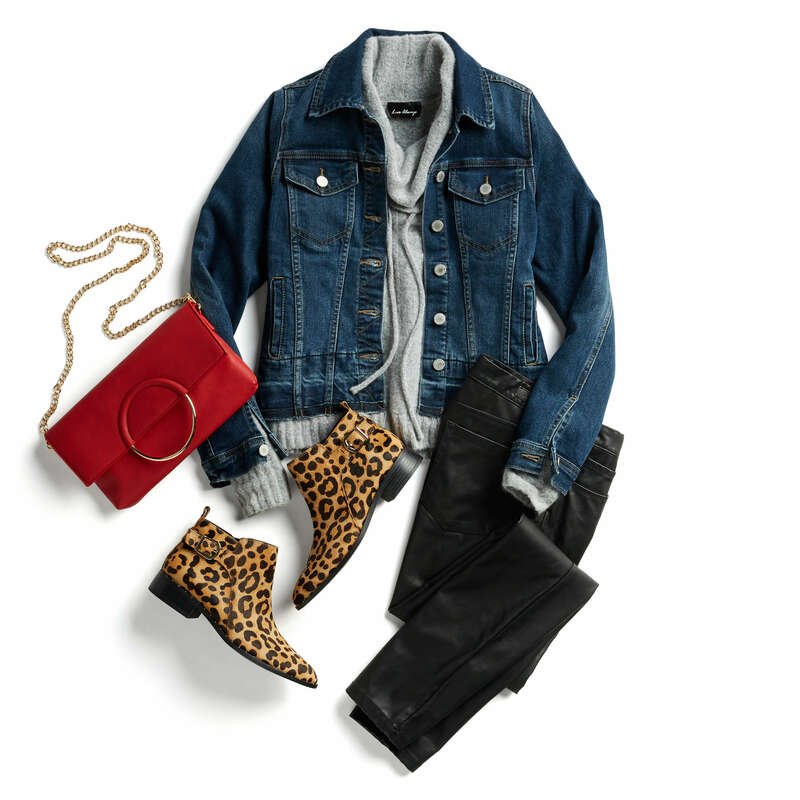 Read on to learn how to style an oversized denim jacket! Juxtapose the relaxed fit of an oversized denim jacket by pairing it with leggings and v-neck sweater or tunic. If you enjoy edgy ensembles, try the moto-detail legging trend. Clinch this laid-back look with suede booties and a plaid scarf. Pair sheer black tights with a moody floral or plaid skater dress for an 80’s-inspired outfit. If you want to get totally tubular, finish the look with leather combat boots or mary janes and a choker. For a more modern approach, opt for oxfords and a pendant necklace. Whether you plan to hit the weights or the snooze button, an athleisure outfit pairs effortlessly with a boyfriend jean jacket. Partner skinny joggers with a hoodie, pulling the hood out over the jacket collar. Keep the look low-key with fashion sneakers and mini backpack. Perfect for seasons when you wanna get snuggly, marry an oversized denim jacket to a cozy chunky-knit sweater. Couple this delightful duo with a fitted pencil or mini skirt and tights. Complete the look with tall or over-the-knee boots and hoops. No longer a fashion police faux pas, wearing denim-on-denim is on-trend. Become a denim mixing master by pairing your oversized denim jacket with black jeans and a chambray button-down. Finish with a statement necklace under your collar and a pop-of-color ballet flat. On the hunt for the oversized denim jacket of your dreams? Let your Stylist know when you schedule your Fix!